Though airport dining options have been improving, travelers still often find themselves struggling to seek out satisfying choices and experiences while on-the-go. That said, we're proud to be part of the changing culture in this arena of restaurants. The site 'CheatSheet.com' published a list of their ultimate recommendations in airports across the country. The fact that we've got multiple locations made us eligible for their rankings, and we're glad to be listed in the second spot! As the world's busiest airport, the hustle and bustle intrinsic to traveling through Hartsfield-Jackson International is bound to create feelings of chaos. We believe that that's why our guests so enjoy pairing coffee and cuisine enjoyment with reading at Café Intermezzo's B Concourse location during spare time before or between flights. We're delighted to know that the judges of the 2018 Airport Food & Beverage national awards agree! Thank you, Finavia, The Moodie Davitt Report, and The Foodie Report for selecting us as winners of the category: Airport Food & Beverage Offer of the Year within a Retail/Convenience Store. 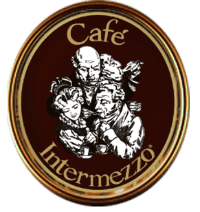 What a delight it's been acquainting the Plano and Dallas crowds with Café Intermezzo. While some guests have walked in sharing excited reactions and special memories upon realizing we're now here in Texas (those who've visited the Atlanta locations! ), others are familiarizing themselves for the first time with the brand and concept. It's especially for those curious diners that we enjoyed joining WFAA's Good Morning Texas live from inside the café this past week. Founder/President Brian Olson and daughter, Grace, hosted reporter Shannon Powell Hart and those watching from home for a morning full of cuisine, pastry, and coffee. Copy and paste the following link to check it out! While you sit, sip, and savor the rich, silky flavor of the espresso at one of our cafés, a team of coffee experts are working on future roasts at their facility in downtown Atlanta. Batdorf & Bronson, originally founded in 1986, prides itself on producing and distributing their product through a genuine interest in the craft, and strong relationships - a reciprocal effort for all parties involved. 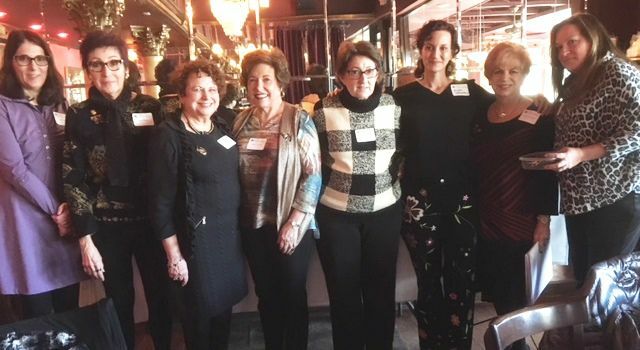 "Hadassah Greater Atlanta (www.hadassah.org/atlanta) held its 2017 Centennial Leadership Institute graduation and installed its 2018 officers at Café Intermezzo in Dunwoody on Dec. 10. Linda Hakerem and Michele Weiner-Merbaum, Hadassah Greater Atlanta’s leadership vice presidents, officiated at the graduation and the installation. They were the 2017 facilitators for CLI, which is designed to bring knowledge, leadership skills and passion to Hadassah." The holidays may be over, but the experience of sipping on something delicious doesn't have to be. 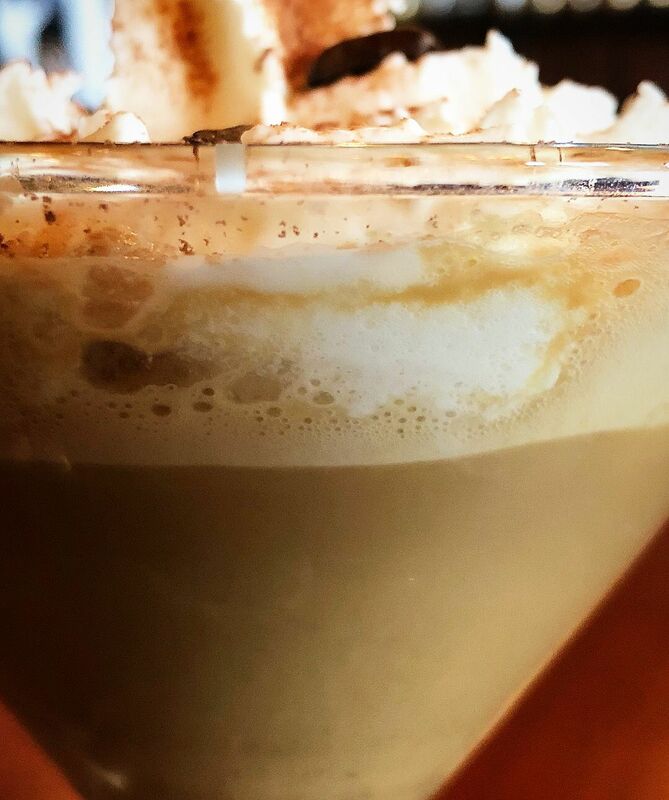 Because we believe in that idea fully, we've created a dessert-in-a-glass-style drink that is sure to please the taste buds. 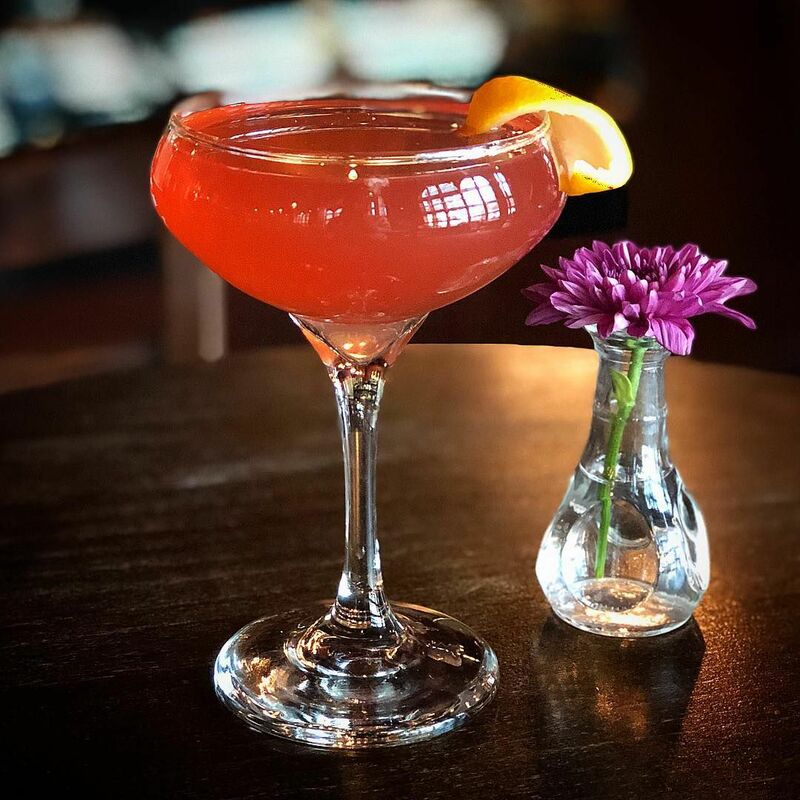 We left the task up to one of our trusted bartenders, Justin, and we believe he concocted a scrumptious addition to the beverage book! A rum liquor base delivers a ladyfinger-like taste; a principal element of classic Tiramisu. Half a shot of espresso gives a rich, coffee flavor without overwhelming the senses. 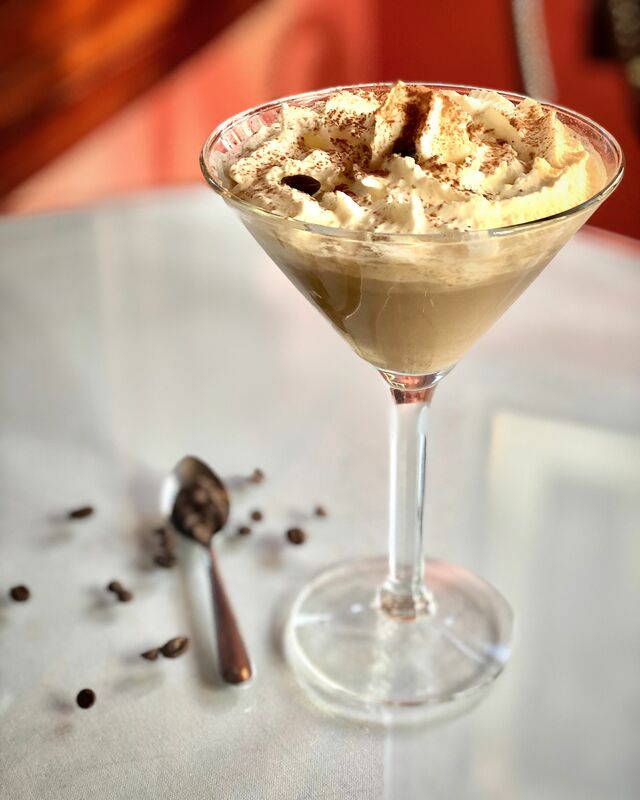 Accompanying liqueurs make for a full Tiramisu-like taste, while a little bit of cream rounds out the flavors. 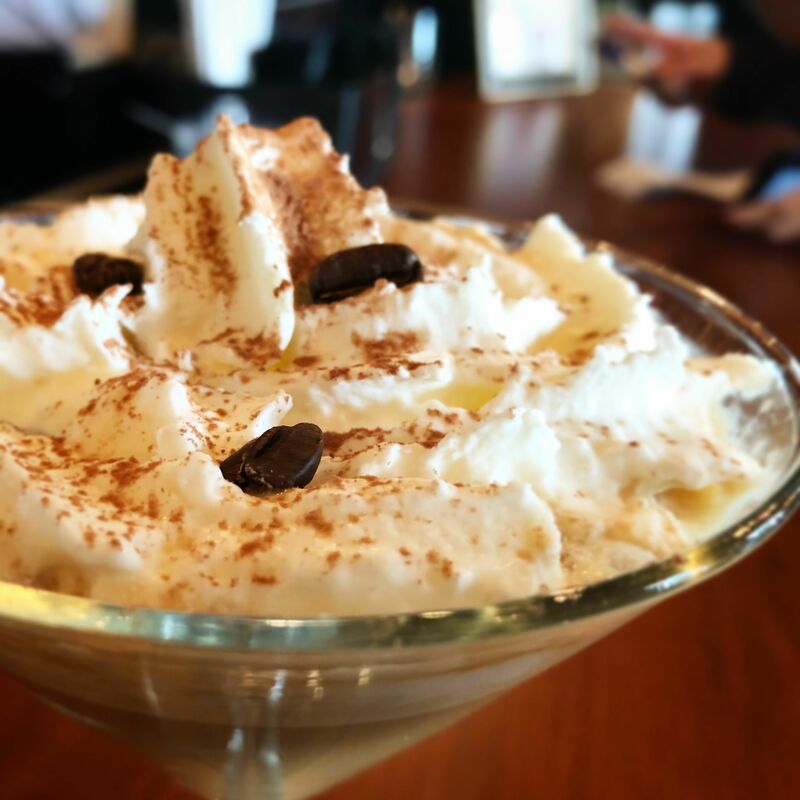 Topped with a swirl of schlag (whipped cream) and a sprinkle of cocoa...delighting in the 'Tiramisu Martini' is an experience sure to be remembered.